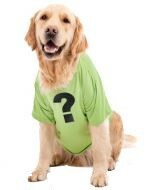 The Pet Emergency Fund is seeking a new design for human t-shirts to sell as a fundraiser and for other marketing/promotional purposes! Important information and download-able logo files are available below. Come visit PEF at Clarence Bark in the Park! The event includes a Fido Fashion Show, over 75 vendors and contests/demonstrations. Go to https://clarencebarkinthepark.org/ for more information. Pet Emergency Fund will be exhibiting at Erie County SPCA’s Wine & Wags 2019, the event for people and pups! Sample delicious food and drinks from area wineries, bakeries, food trucks, breweries, and local restaurants! Browse and shop all of the people and pup-friendly vendors! Take some fun pictures with your furry friend at the photo booth! Bid generously on gift certificates and baskets in an exciting raffle! Go to https://yourspca.org/2019wineandwags/ for more information. 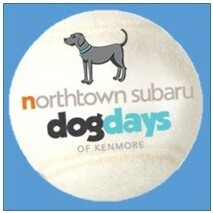 The Northtown Subaru Dog Days of Kenmore is a fun, free event for canines and their people; a celebration of dogs and the enjoyment and interest they bring to our lives! The Dog Days excitement includes dog sports, contests with prizes, education and training, dog vendors and activities, treats for humans and canines, and much more! Well socialized, friendly dogs are welcome at the event; water and shade will be provided. Go to http://www.dogdayswny.com/ for more information. PEF will have a table at NYS Citizens Against Puppy Mills’ animal adoption event with all types for rescues showing their adoptable animals and providing information about rescue. There will be a variety of vendors for shopping. There is no charge to attend the event. Your new BFF might just be waiting to meet you! Come see PEF at the fourth annual Bark Bash! There will be food trucks, contests, music, the Country Comfort Inn Bark Dash, vendors, adoptable dogs and demonstrations. It is free admission and all friendly, vaccinated dogs are welcome! Come join PEF at Erie County SPCA’s Paws in the Park, their longest-running fundraiser. The event invites people to come with (or without) their dog for a scenic two-mile walk at Beaver Island State Park. The event will include the opportunity for participants to interact with 50+ pet-related vendors and exhibitors, dog contests, an agility course for the dogs, and fun for children and adults alike. Participants are encouraged to raise pledges that directly benefit the people and animals that the SPCA assists. In return, these participants earn exciting prizes.